Lisa Sandall, a talented, enthusiastic designer, believes each project deserves an original approach and she often gets inspired by the way we behave around products. With that interesting point of view, I can imagine why she always comes up with innovative designs, easy to handle and extremely catchy! 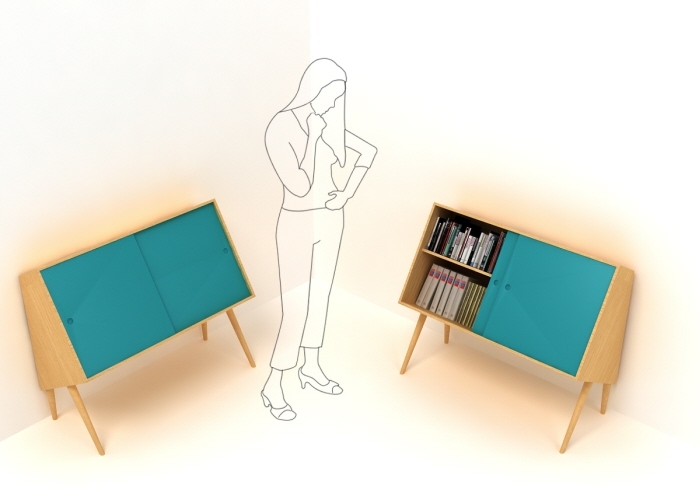 One of these novel designs is Chin up storage unit, a piece of furniture ideal for your study or living room, designed especially for storing books, digital media and boxed items. It can be fixed near a wall, and what is so great about it, is that you don't have to kneel all the time in order to pick stuff. Now, that's really something!